If you're considering the 2009 Chevrolet Traverse, you're probably shopping for room along with some cargo-carrying capabilities. This crossover offers both. 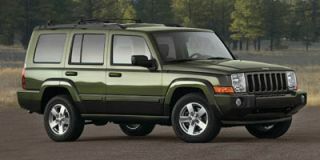 Alternatives span a wide range, including full-size SUVs, mid-size SUVs, and other crossovers. The 2009 Chevrolet Traverse is an Acadia/Enclave/Outlook wearing different duds. Experts from TheCarConnection.com have spent extensive time in the driver's seat of the 2009 Chevrolet Traverse. Our team has also pored through competitive reviews of the Chevy Traverse to create this comprehensive review. Armed with this experience, TheCarConnection.com can provide a clear opinion on this full-size crossover to help you make a smart decision. For drivers looking to abandon their full-size truck or SUV for something nearly as capable and roomy, the 2009 Chevrolet Traverse is a good choice. 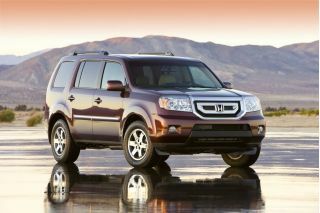 It provides much of what they need in a considerably more fuel-efficient package. While the all-new 2009 Chevrolet Traverse is the first full-size crossover to arrive at Chevrolet dealers, it’s closely related to the GMC Acadia, Buick Enclave, and Saturn Outlook. Regarding its exterior style, the 2009 Chevrolet Traverse lacks the chunky, truck-inspired lines of the GMC Acadia or the elegant lines of the Buick Enclave. What Chevy delivers is pure vanilla design, with the brand’s "bow tie" on the grille and relatively simple trim; it won’t draw attention, but it’s unlikely to offend. Inside, the mainstream styling continues. Gauges are easy to see, and controls are easy to use. Touches of chrome dress it up. Seating for seven or eight is available. TheCarConnection.com likes the easy-to-use second-row seats that slide forward to provide access to the surprisingly comfortable third-row seats. However, it does take a high-step up to enter that back row. As for performance, the 2009 Chevrolet Traverse is capable of doing much of what a full-size SUV can do while being more efficient than those SUVs (17/24 mpg front-wheel drive, 16/23 mpg all-wheel drive). 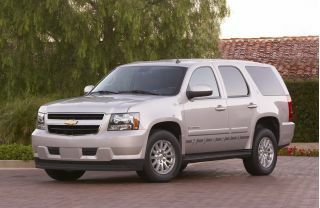 Experts from TheCarConection.com have driven all three Traverse models (LS, LT, and LTZ); each is equipped with the direct-injection V-6 from the Cadillac CTS and STS. The 3.6-liter engine produces 288 horsepower and 270 pound-feet of torque, and this is adequate to move the Chevy's not inconsequential weight of up to 4,925 pounds. Compared to the most powerful of GM's full-size trucks and utilities, the 2009 Chevrolet Traverse accelerates at a leisurely pace, but it is far from being dangerously slow and never feels anemic. Shifts from the six-speed automatic transmission are very smooth and timely, and the Traverse is impressively quiet when cruising. Handling is surprisingly crisp for such a large and heavy vehicle. Especially with the 2009 Chevrolet Traverse LTZ's 20-inch wheel and suspension package, steering response is quick and body roll is present but not excessive. Road imperfections are soaked up in a way that would have set a new benchmark for luxury cars not all that many years ago. For those still worried that "American vehicles are junk," the 2009 Chevrolet Traverse is yet another reason to forget this outdated paradigm. In build quality and overall operational functionality, this Chevy is the equal of any competitive imported vehicle. Fit and finish inside and out are high. Chevy also meets safety concerns head-on with a full contingent of safety features, including front airbags, side airbags for the front seat, and side curtain airbags that help protect all three rows of seats. 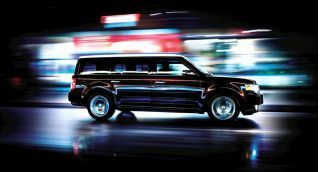 Stability control augments standard ABS and traction control. The 2009 Chevrolet Traverse shares the same structure as the other GM full-size crossovers, which get top crash-test scores, so it will likely also be highly rated. The 2009 Chevrolet Traverse includes all the expected standard and optional features that seem necessary to sell a vehicle today. This includes standard OnStar, XM Satellite Radio, and in a nod to the reality of hands-free phone laws coming on line, GM now offers a Bluetooth option; no longer is an OnStar cellular phone service the only choice. Options also include heated windshield washer fluid, a DVD entertainment system, and a well-designed voice-activated navigation system. Full-size SUVs such as the Chevrolet Tahoe offer more performance and towing capabilities from their available V-8 engines, but the Traverse expectedly trumps them in fuel economy. Compared to mid-size frame-based SUVs such as the Ford Explorer and Jeep Commander, the Traverse offers more interior room and a more carlike ride. 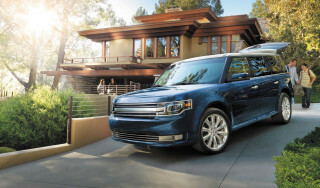 Improved and all-new crossovers such as the eight-passenger Honda Pilot and the stylish Ford Flex present additional options. Both provide V-6 power and roomy interiors, and they boast stronger design statements inside and out, compared to the 2009 Chevrolet Traverse. Those shopping for a 2009 Chevrolet Traverse will be interested in its practicality, not its looks. In creating the 2009 Chevrolet Traverse, it seems like GM's design team wanted to target the largest market possible. 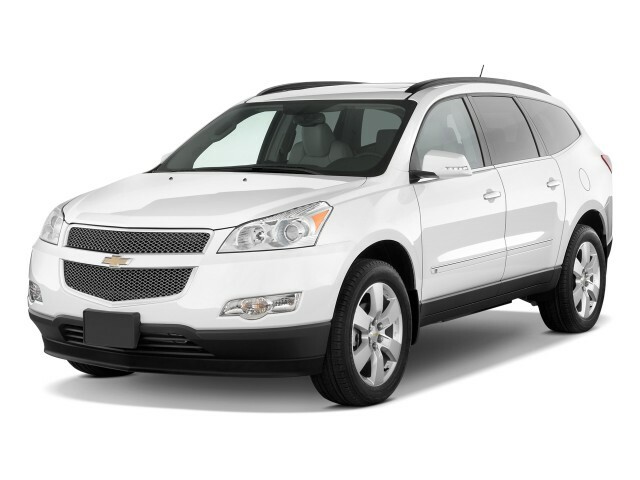 While that goal may have been met, it means that the 2009 Chevrolet Traverse is bland and uncontroversial. The exterior of the new Traverse Chevrolet is virtually identical among all three trim levels, which reviews read by TheCarConnection.com list as base LS, mid-range LT, and top-of-the-line LTZ. The only real difference between the three levels of Chevrolet Traverse is the wheels. Autoblog reviewers state that "the Traverse is available with 17-, 18- and 20-inch wheel/tire combinations," which carry the LS, LT, and LTZ trims, respectively. Otherwise, all 2009 Chevrolet Traverse vehicles sport middle-of-the-road styling that Cars.com says is "a look that everyone should find appealing" and is not "cute, controversial, too extravagant or futuristic." Edmunds calls the Chevrolet Traverse "a pretty subtle-looking thing" with styling that's "rounded and relatively unadorned," but still able to project what Chevrolet terms "nonchalant confidence." 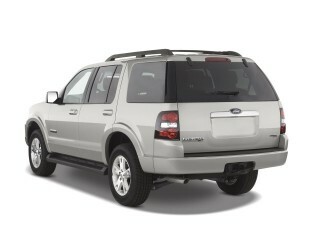 The recurring comparison in reviews read by TheCarConnection.com is that the 2009 Traverse Chevrolet shares some styling cues with the Chevrolet Malibu, and Autoblog feels that "the big twin-port grille inspired by the Malibu works well on the Traverse." Automobile Magazinegoes so far as to call the Chevrolet Traverse "a Chevy Malibu SUV," though they note the "projector-style headlights" are unique to the Traverse Chevrolet. The 2009 Chevrolet Traverse also shares its platform with several GM siblings—the Saturn Outlook, GMC Acadia, and Buick Enclave—but Autoblog is pleased to report that, "unlike in the 1980s and '90s, GM has finally learned how to give its platform-sharing vehicles distinctive looks that go beyond a different grille and taillights." The interior of the Chevrolet Traverse is, like the exterior, functional but by no means exciting. Autoblog reviewers are quick to point out "the dashboard design also carries over themes from the Malibu with a sweeping twin cockpit look," and Motor Trend praises the "clean, modern style," but overall, reviewers are not dazzled by the interior design. ConsumerGuide reports that the "stylish cabin design presents well at a distance, but a closer inspection reveals mostly hard plastic textured for visual effect." They do, however, give the Chevrolet Traverse high marks for its "big, bright, clear gauges [that] are easy to read." Cars.com also mentions that the interior of the 2009 Chevrolet Traverse features "plenty of beveled plastics," a common complaint that hinders the Traverse Chevrolet's styling score. Enthusiasts might not appreciate the acceleration on the 2009 Chevrolet Traverse, but then again, they're probably not going to drive one in the first place. Based solely on appearances, you wouldn't think of the 2009 Chevrolet Traverse as an agile vehicle or a competent towing machine, but road tests show that the Chevrolet Traverse is, in fact, a competent performer in most situations. Powering all the trims of the 2009 Chevrolet Traverse lineup is a new "3.6-liter engine" that Edmunds says "now gets direct injection just like pricey Cadillac CTS motors." Edmunds proceeds to report that the engine is capable of "288 horsepower at 6,400 rpm and 270 pound-feet of torque at 3,400 rpm" on the LTZ trim, while "with lower trim levels and the resultant single-outlet exhaust system, the power levels drop to 281 hp and 253 lb-ft." Reviews read by TheCarConnection.com show that the engine is capable but by no means quick. In terms of acceleration, ConsumerGuide rates the Chevrolet Traverse around the class average and attests that it offers "ample power with usefully prompt throttle response." Edmunds says the Traverse Chevrolet feels "plenty peppy" and "should make it to 60 mph in a little bit more than 8 seconds." While acceleration may be just average on the 2009 Chevrolet Traverse, the towing capacity is above the class norm. Motor Trend says "Traverses with the optional towing package can pull 5,200 pounds, versus 4,500 pounds for the '08 Outlook/Acadia/Enclave" and an even 5,000 pounds for the competing Toyota Highlander. Pairing up with the Chevrolet Traverse's V-6 engine is a "six-speed automatic transmission" that ConsumerGuide says will route the power through either a "front-wheel drive or all-wheel drive" system. Reviews are subdued for the automatic transmission, but ConsumerGuide remarks that "shifts are smooth and generally immediate, though the transmission can be tardy with downshifts at highway speed." 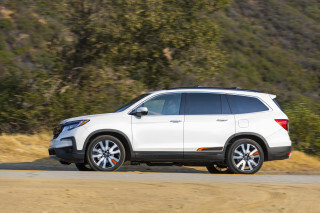 Cars.com also refers to the transmission as "smooth-shifting," a term commonly used to describe the Chevrolet Traverse in reviews read by TheCarConnection.com. One of the benefits of a six-speed transmission is that it offers better fuel economy than the four- and five-speed units found on many vehicles today. Edmunds says "the direct-injection V6 brings with it slightly better fuel economy than the V6 it replaces in all the Lambda crossovers," though the AWD version suffers a slight mileage penalty. The official EPA estimates for the 2009 Chevrolet Traverse are 16 mpg city and 23 mpg highway for the AWD and 17 mpg city and 24 mpg highway for the front-wheel-drive version. While the 2009 Chevrolet Traverse offers SUV-like cargo room and practicality, its handling and ride characteristics are much more driver-friendly than those of truck-based vehicles. Edmunds reports that the Traverse Chevrolet "delivers an enviable compromise between a comfortable ride and agile handling even with its optional 20-inch wheels." Autoblog reviewers agree, finding that the Chevrolet Traverse turns "with minimal body roll and drama," and "for a 5,000-lb wagon, the Traverse proved quite capable of changing direction quickly." Other reviewers praise the "quicker and more direct" steering on the Traverse compared to its competitors, and Motor Trend claims the Traverse is "tuned like a car." And in the always-important braking category, ConsumerGuide chimes in with another positive review by saying that "responsive brakes contribute to making Traverse feel sporty despite its size." With good seating comfort and ride quality, plus ample storage space and great interior quality, there's a lot to love about the 2009 Chevrolet Traverse. GM's long-running reputation for poor quality, especially when compared to import competitors, is proving hard to dispel, despite GM's recent emphasis on improved interior quality. While one vehicle won't be able to turn that reputation around, the 2009 Chevrolet Traverse is just one of many high-quality new models from GM. The 2009 Chevrolet Traverse is a large crossover that Cars.com says "can seat seven or eight, depending on whether you get separate captain's chairs or a three-seat bench in the second row." Reviews read by TheCarConnection.com indicate that passengers in the new Traverse Chevrolet will find plenty of room and comfortable seats, even in the third row. Edmunds assures that "the cavernous interior of the Chevy Traverse meets modern expectations for convenience and comfort." ConsumerGuide reviewers also feel compelled to make note of the Chevrolet Traverse's size, observing that it is "among the largest midsize SUVs" and "feels especially roomy." ConsumerGuide adds that the "big, supportive seats" up front on the 2009 Traverse Chevrolet "make for good long-trip comfort." In the rear row, Cars.com says Chevrolet has come up with "a novel approach" for accessing the backseats that involves "pulling a lever for the second-row seat to slide forward into its collapsible bottom cushion," an interesting idea "provided it can weather hundreds of uses." Cars.com also offers high praise for the rear seat space, claiming it is "comfortable for adults, where most vehicles with a third row make it barely adequate for children," and in an effort to improve legroom, "the middle seat has GM's 'Smart Slide' feature, which lets it move forward or backward up to four inches." While reviews read by TheCarConnection.com generally praise the passenger space in the Chevrolet Traverse, ConsumerGuide does note that "foot space can be tight" in either of the back rows. The 2009 Chevrolet Traverse is designed to be a practical family vehicle, and that is clearly manifested in the available cargo space. ConsumerGuide lauds cargo room as "a strong point" on the Traverse Chevrolet, particularly in the interior where "several bins and cubbies provide ample interior storage." In the more traditional rear cargo area, Cars.com says "the space behind the Traverse's third seat has 24.4 cubic feet, about 10 feet more than the space in the trunk for the average midsize sedan." Cars.com adds that the Chevrolet Traverse "has the best cargo capacity in the midsize crossover segment, with 117.5 cubic feet of space in total." Nifty little features like second- and third-row seats that "fold forward easily to create a flat, nearly-level load floor" also draw praise from ConsumerGuide. As mentioned earlier, GM has made great strides recently when it comes to interior quality, and that trend continues with the 2009 Chevrolet Traverse. Cars.com notes that "body fit and finish, including gaps between body panels, was designed to be comparable with that of premium sedans from Lexus and BMW." Autoblog also reports that GM has "put a lot of effort into the details, like 3.5 mm door gaps that contribute to the CUVs quality appearance." The materials win praise from Motor Trend as well, as they observe that the Chevrolet Traverse has "the latest version of GM's rediscovery of interior quality," which they say is "good, but doesn't appear rich beyond Chevy's place in the GM lineup." The recent emphasis on build quality and body panel construction helps improve overall appearance and works wonders when it comes to sound suppression. ConsumerGuide reviewers find "wind and road noise are well squelched" on the 2009 Chevrolet Traverse, and while the "engine becomes vocal during acceleration," they say it still "sounds refined and is otherwise subdued." Motor Trend also raves about the ride quality itself, which they call "remarkably smooth and quiet" and "among the top of the class." Bigger is better when it comes in the form of the 2009 Chevrolet Traverse, where the large, sturdy frame earns great crash-test ratings. The advertising for family-oriented vehicles like the 2009 Chevrolet Traverse usually makes a point of highlighting the vehicle's safety credentials. With the 2009 Chevrolet Traverse, GM's marketing team has a lot to highlight. The Chevrolet Traverse is similar to its corporate cousins in many ways, and that includes the fact that they all boast outstanding crash-test ratings. While the IIHS has not yet had a chance to conduct any crash tests, NHTSA has subjected the 2009 Chevrolet Traverse to its full battery of tests, and the results are impressive. The Traverse Chevrolet earned the highest possible rating, five stars, from NHTSA for both driver and passenger protection during frontal impact tests. The 2009 Chevrolet Traverse also excelled in side impact tests, again earning a perfect five-star rating for impacts on either side. The only category in which the 2009 Chevrolet Traverse didn't earn a full five stars was in rollover protection, where the Chevrolet Traverse's height played a role in its four-star rollover rating. Strong crash-test results tell only part of the story when it comes to vehicle safety ratings; the other half is composed of available and standard safety equipment, which the Chevrolet Traverse offers in spades. Cars.com reviewers reports that "front, side-impact and side curtain airbags are standard," and "the curtains cover all three rows of seats." In addition to the inflatable protection, ConsumerGuide says that "antilock four-wheel disc brakes" and an "antiskid system" are included on all Traverse Chevrolets. Autoblog chimes in with a few pros and cons on the new 2009 Chevrolet Traverse; while they praise the fact that "the brake intervention of the stability control felt seamless," they were disappointed to find that the Traverse Chevrolet, a capable towing vehicle, does not have a "trailer sway control available." One of the safety problems typically associated with larger vehicles is that they offer poor visibility. While this may be true in many large crossovers and SUVs, reviews read by TheCarConnection.com show that the 2009 Chevrolet Traverse offers a surprisingly good field of view. 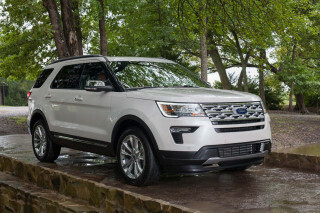 ConsumerGuide claims there is "good outward visibility thanks to big mirrors and unobtrusive rear headrests," although they mention "the view to the front corners is partially obscured by thick roof pillars." Also earning brownie points for the Chevrolet Traverse are the "blind spot mirrors" that Autoblog reviewers find "rather than those expensive blind spot sensors," and they report the effective mirrors give "you a good look at what's tucked in behind you." Standard Bluetooth and a year of free OnStar service head up a long list of conveniences found on the 2009 Chevrolet Traverse. The Chevrolet brand may be the basic, bread-and-butter brand on the GM totem pole, but don't tell that to the designers of the 2009 Chevrolet Traverse, who packed the crossover with high-end features. If the standard features just aren't cutting it for you, Chevrolet also offers some impressive options for the Traverse Chevrolet. Reviews read by TheCarConnection.com show that the 2009 Chevrolet Traverse doesn't pull any punches when it comes to standard features. Cars.com reviewers say the standard "On Star system provides such features as turn-by-turn navigation and directions to restaurants, hotels or other points of interest." ConsumerGuide also notes the Chevrolet Traverse comes standard with a "tilt/telescopic steering wheel, cruise control," full power accessories, an "AM/FM/CD/MP3 player, satellite radio," and "automatic headlights." 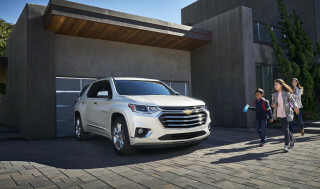 Moving up to the Chevrolet Traverse LT, ConsumerGuide says to expect a "leather-wrapped steering wheel w/radio controls" to join the standard features list, while Motor Trend describes the top-of-the-line Chevrolet Traverse LTZ as "Chevy's modern Kingswood Estate, with...standard leather," among other unique features. Some of the standard amenities exclusively on the Traverse Chevrolet in LTZ trim are "tri-zone automatic climate controls (including rear controls), navigation system w/voice recognition and traffic information, [and] rearview camera," according to ConsumerGuide. Regardless of which trim you opt for on the 2009 Chevrolet Traverse, Edmunds is pleased to report "Bluetooth connectivity is standard." The features list doesn't end with the basics available on the 2009 Chevrolet Traverse trims, as GM has included a lengthy catalog of options for those with a bit more disposable income. Cars.com says some of the "cool features of the new Traverse" include "a panoramic sunroof" and "in-dash navigation system," along with an available "rear-seat DVD entertainment system" and "leather upholstery." For those living in the Golden State, ConsumerGuide says an available "California Edition" adds an upgraded "Bose sound system, chrome exhaust tip," and "bright alloy wheels," while a "remote engine start" option is available as a stand-alone feature on the Chevrolet Traverse LS and LT. Looking for a different year of the Chevrolet Traverse?